Then I realised it wasn’t red wine It was blood, pure blood. The bleeding persisted whenever I passed water that morning and then returned to normal. I shrugged. Probably something or nothing. But the following day, when it happened again, I immediately rang my doctor. It was the wisest thing I have ever done. I am fortunate, I have a wonderfully efficient GP, Dr Loraine Lawrence, at my local health centre in Weybridge, Surrey.Shetested my urine, and immediately arranged for me to see Mr Robin Cole, consultant urological surgeon at St Peter’s Hospital in Chertsey. Anybody who passes blood in their urine must undergo a telescopic examination of the bladder via the urethra, or water pipe – called a cystoscopy. Mine confirmed a small tumour. “I’m afraid you have bladder cancer,” said Mr Cole. Worse was to follow. Further tests showed I also had two more tumours on my left kidney, probably associated with the bladder cancer. Grim news. But again I was lucky. Mr Cole is a remarkable surgeon and he was calmly re-assuring. “I can sort this,” he said. And he did. 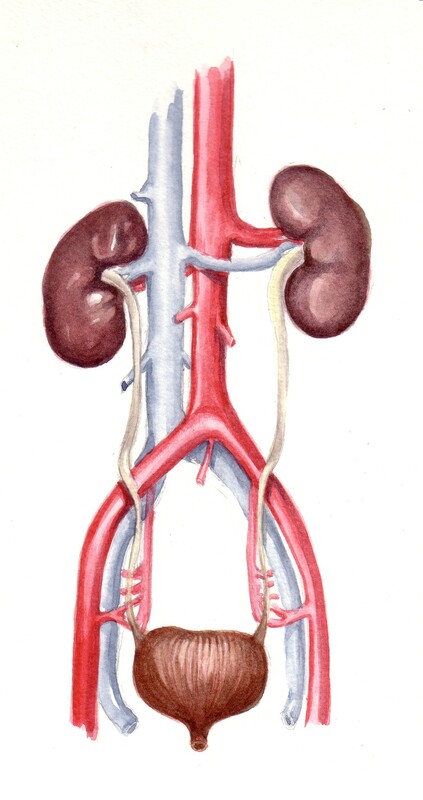 I lost a kidney but kept the bladder. That was ten years ago, and I am relieved to say that at 73 there has been no recurrence. I relate this personal story now because during my conversations with Mr Cole at my regular check-ups (initially every three months and now annually) I discovered that bladder cancer is one of the most understated but among the most dangerous of all yet there is little public awareness of the disease compared to cancers such as lung, breast, bowel and prostate, all of which are have been the subject of high profile campaigns warning of the symptoms and the need for early screening. 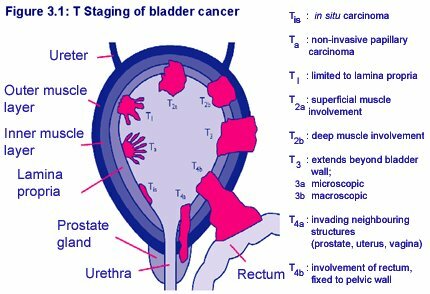 Yet bladder cancer is the second most frequently occurring disease of the urinary system, after the prostate, and the fourth most common cancer in men and tenth in women in the UK, with over 10,000 cases a year, and 5,000 deaths. As Mr Cole say it is a highly dangerous disease for a relatively small number of people. Why is bladder cancer important? “It is a very expensive cancer, a major issue for health care resources,” says Mr Cole. It requires long term follow-up, often for life, as the reasons for recurrences are very common. The victims are often elderly (mainly over 50) and have other conditions, such as heart disease. They are often smokers or have been smokers. “The greater frequency in men may relate to smoking habits. It has a long incubation and can take decades to develop. There are not many clear risk factors but age and smoking are the most common. Studies in the United States show that 20 per cent of bladder cancer victims come from the blue collar area, people working in the dye or rubber industries. “The majority of patients have tumours like yours, non-muscle invading bladder cancer but 20 per cent have muscle invasive cancer and once cancer gets out of the bladder it becomes lethal very quickly. All bladder tumours are malignant. What also makes it such an expensive cancer – in one year alone in the US bladder cancer cost $1billion, the highest of all – is that patients must have long term regular cystoscopy. While these examinations are uncomfortable and somewhat undignified, they are not excruciatingly painful as, the tube is usually anaesthetised. The problem is, if there is a recurrence, it is not always possible to examine with a flexible tube and it may mean further treatment under a general anaesthetic with hospitalisation. Once the tumour has gone into the muscle, 60 to 70 per cent of patients will still be alive after five years, 30 per cent won’t be. The further out the cancer spreads, the more dismal the results. When it gets into the prostate, for instance, only 15 per cent of the patients will survive. So the message is simple. Once there is a sign of blood in the urine, do something about it, although the blood isn’t always detectable to the eye, which is why it is a good idea to insist your GP tests your urine carefully if you have any odd urinary symptoms or disturbances. Even if there are microscopic quantities of blood specialist referral may be sensible, Unlike prostate cancer there are no screening tests for bladder cancer. Say Mr Cole: “One problem is that men are sometimes reluctant, or too embarrassed, to do anything if they have problems with the undercarriage but if you see blood, you must see your GP. It’s a little different with women, who have had blood emanating from their perineum (the genital area) for most of their lives, with menstruation, childbirth and the like, so a little bit more blood doesn’t mean much to them but blood in the urine is as important as in men and must be reported.”. Mr Cole, a former chairman of the Surrey, West Sussex and Hampshire Cancer Network, is one of Britain’s most experienced urologists and with his colleague Mr Ravi Kulkarni provides the specialist bladder cancer service for rural Surrey and in the last six years have surgically removed some 200 bladders at St Peter’s. There is evidence that as well as smokers (which I am not) diabetics (which I am) have a significantly increased risk of bladder cancer, If you stop smoking, the risk reduces but it remains for 20 to 25 years, much longer than the risk associated with smoking in lung cancer and heart disease because of the long incubation period. One study shows that 98 per cent of patients knew the risk of smoking associated with lung cancer but only a third knew of it with bladder cancer. Also post-op experiences can be very different. In some patients, the cancer is so far advanced that the bladder has to be removed and urine passed through an abdominal bag, as has happened to a 76-year-old journalist friend, a heavy cigar smoker. “If the disease is very advanced and we are sure it cannot be cured we will not subject the patient to surgery,” says Mr Cole. “The vast majority of our patients having a cystectomy will have a stoma with an abdominal bag but occasionally we build them a new bladder out of a piece of bowel.” As in the case of Mary Archer. When recently I interviewed the Britain’s oldest surviving former world champion boxer Terry Downes, 77, another cigar smoker in his seventies, we were able to compare notes as he successfully battled the disease four years ago, But unlike me he required painful radiotherapy for some time afterwards, the effects of which were debilitating. Another reason I feel fortunate. In some circumstances radiotherapy can be an excellent treatment for bladder cancer,” says Robin Cole. I am fortunate, I have a wonderfully efficient GP, Dr Loraine Lawrence, at my local health centre in Weybridge, Surrey.She tested my urine, and immediately arranged for me to see Mr Robin Cole, consultant urological surgeon at St Peter’s Hospital in Chertsey. What also makes it such an expensive cancer – in one year alone in the US bladder cancer cost $1billion, the highest of all – is that patients must have long term regular cystoscopy. While these examinations are uncomfortable and somewhat undignified, they are not excruciatingly painful as, the tube is usually anaesthetised. The problem is, if there is a recurrence, it is not always possible to examine with a flexible tube and it may mean further treatment under a general anaesthetic with hospitalisation. 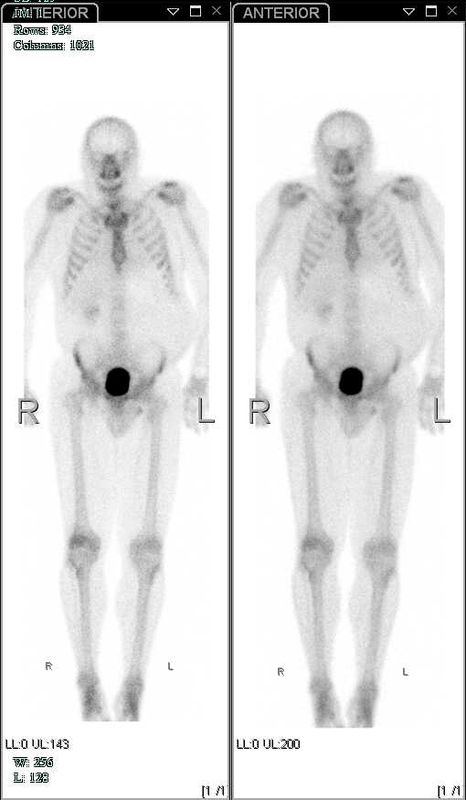 This entry was posted in Bladder cancer, Cancer, Cryoablation, Kidney Cancer, Magnetic resonance imaging, Mary Archer, Surgery, Tumour and tagged Bladder Cancer, GL-W, Greg Lance-Watkins, Greg_L-W, Mary Archer. Bookmark the permalink.